This month has felt very, very long as January typically does. The month has been filled to the brim with work and travel and shoots so very little time to just chill. Fortunately though MLK weekend allowed for a day of downtime that coincided with sunshine which was just what the doctor ordered. With that, I am sharing a hit list of five things that have been top of mind this past month. 1) SUNDAY RILEY NIGHT CREAM When we were in LA in October we stayed with our friends Justin and Ash. One night while the guys were out, Ash took me through her nighttime routine. I am a novice when it comes to most things beauty but especially night time routines. We did three steps: wash my face, a mask and then a night cream. My skin felt great, and once the guys got home Mike remarked that I looked like I was glowing. For Christmas Ash gifted me the cream and I use it a few times a week and absolutely love it. 2) EGGOS These are the most requested breakfast item at our house. Last week at the market we found mickey mouse shaped eggos and definitely picked those up. Additionally, we finally started watching Stranger Things last weekend so eggos are definitely top of mind. 3) MOTHER DENIM I picked up a pair of mother denim off the sale rack at Anthro in September and it was love at first sight in the dressing room mirror. Then when I was in LA earlier this month I happened upon a shop that had a major sale and I scored two more pairs of Mother. One a kind of wide leg white corduroy and the other black denim with a frayed edge, wide leg and high waist. They are perfect. 4) DOLLAR RAMEN & EGG After making a dressed up dollar ramen at home over the holidays this has become something I do more and more often to satisfy a weekend lunch meal. Sautéing mushrooms, dicing green onion and adding a soft boiled egg with a sprinkle of sesame seeds and dash of sesame oil really goes a long way. Also soft boiled eggs are a new favorite for breakfast. On that same trip to LA that I mentioned above I was out to breakfast and not super hungry but knew I needed to eat something. I ended up ordering two soft boiled eggs and kind of felt ridiculous. But they were so delicious! 5) PODCASTS Podcasts are definitely old news. I know plenty of people have been raving about them for years really. 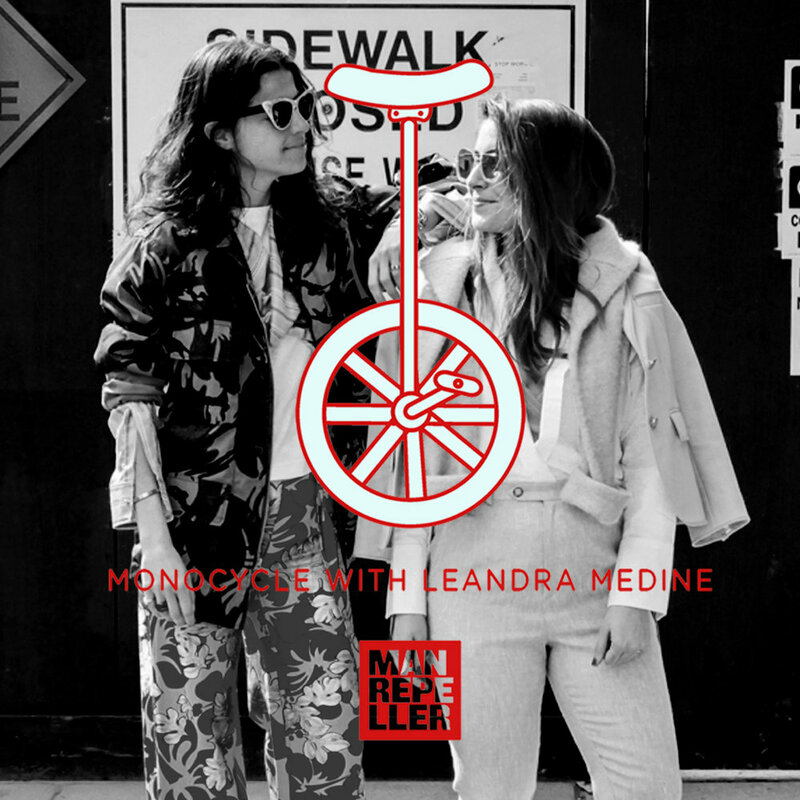 I really only listen to two: The Monocycle by Leandra Medine and How I Built This with Guy Raz. I frequently listen to these on my commute home and am desperate for some new ones too. So please comment with your favorites, I trust your opinions. Separately, just last week I was a guest on a podcast which was something I was nervous about and unsure what to expect but turned out to be a really great experience. More to come on my episode of That's So Millenial with Jenna and Jyss. Top illo via Bodil Jane. My latest art crush.